These two panels were designed following a site visit. 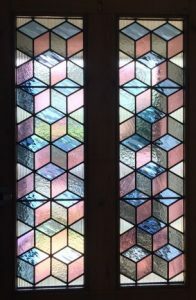 My clients have a lovely geometric floor within their Victorian house and wanted to change the original front door panels to something more contemporary. Keeping the pallete to three colours and one texture makes this a very elegant solution and also a bit of an optical illusion. Tumbling Squares, Leaded Panel, Surrey. My customers have been renovating their beautiful house for a few months now. 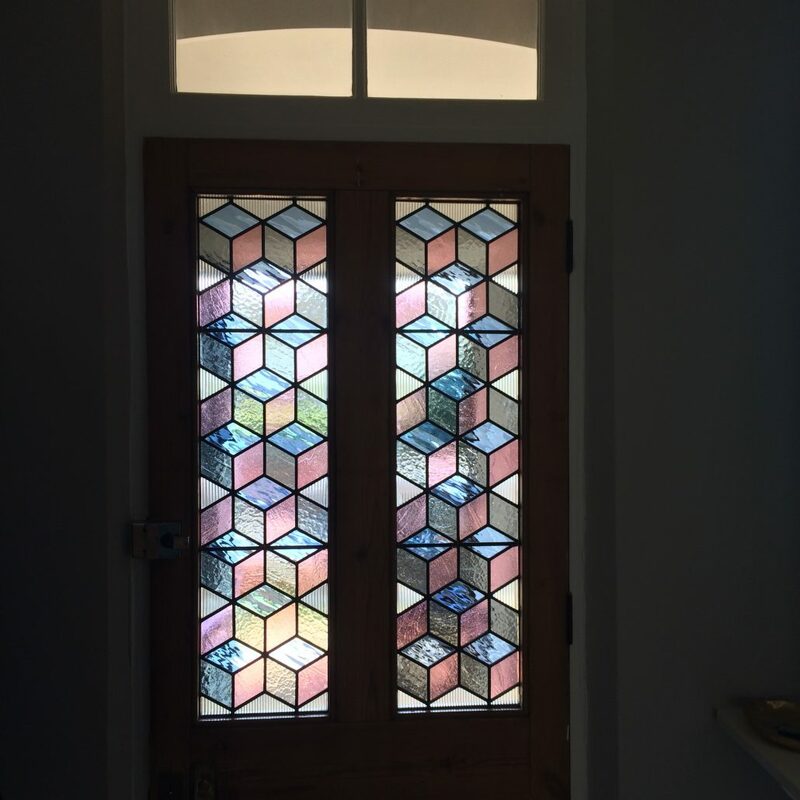 Previously we made and fitted some lead lights to an internal screen in the hall way. The glass we used matched that which was already either side of the door. A few months later we were asked to make a leaded panel using my customers concept of ‘tumbling squares’! It is to appear as if the original design has started to break up and is falling. We also included a change of colour as it falls, so that not only does the glass get stronger in colour as we get to the bottom but also there is an amazing effect where one square ‘overlaps’ another. It has worked so well and we are delighted with the result. Even more importantly, so is the customer.